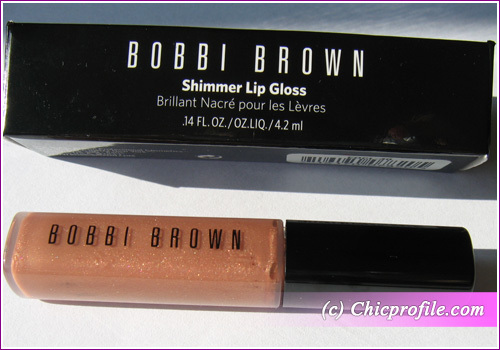 The Shimmer Lip Gloss that I’m going to review is part of Bobbi Brown Cabana Corals Collection and is one of the three new shades included in this Spring 2010 makeup collection. 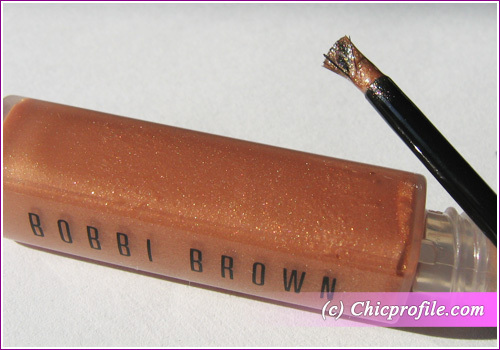 The color that I get to review is called Coral Sand and is a limited edition lip gloss that can be found on Bobbi Brown’s website. 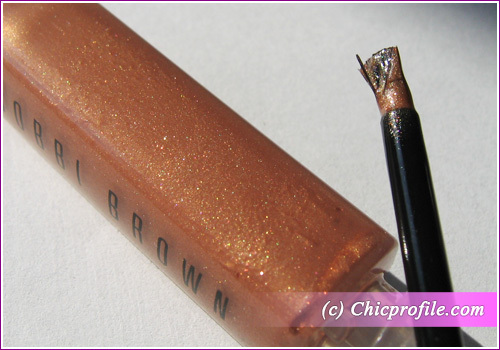 Each of the three lip gloss has a retail price of £ 14.00 ($ 20.00) and contains 4.2 ml (0.14 fl. oz.). Coral Sand is a light peachy-coral shade with golden shimmer that becomes sheer on the lips. Once it’s applied, lips look so shiny and have that water effect look. This new shimmer lip gloss contains aloe extract that soothes and soften lips. 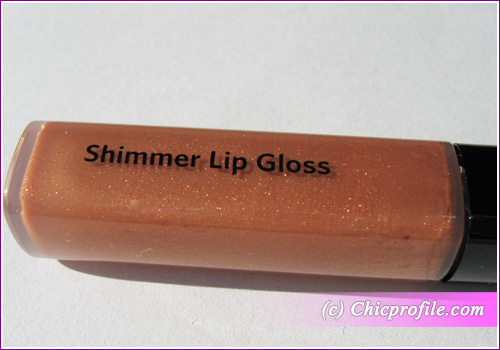 It lasts much longer on the lips comparing to other gloss because of its thick texture. They are designed to cover your lips with shine and shimmer. Contains Jojoba and Avocado Oils that keep my lips moisturized. Has Vitamin C and E that offer anti-oxidant protection. It has thick texture, it’s sticky and tends clump between the lips. It’s a sheer lip gloss so if you look for pigmented glosses this is not for you. The application is quite a trouble because of the applicator brush that doesn’t spread the product evenly and those bristles tend to drawn from the brush and remain on your lips (this happened to me at first application). I wish it could be one of those lip glosses with a more traditional brush applicator. The price comparing to how much product you get. 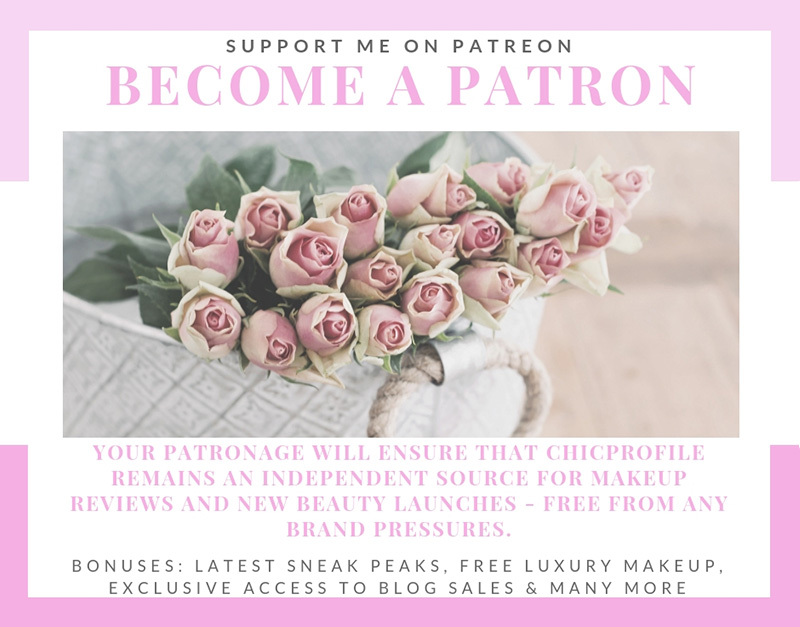 If you are crazy about lip glosses and you own quite a few this aspect won’t bother you, but if this is not the case you can find the price a bit to high. I myself I’m a dedicated fan of lip glosses ( I don’t even wear lipstick) but I would still want more gloss in each tube for this price. 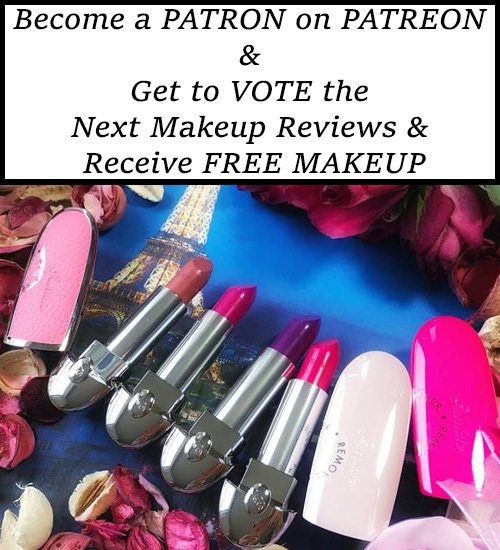 You can choose to wear it alone or pair it with your favorite lipstick. I’ve tried Coral Sand on top of Metallic Lip Color in Coral Glaze but more about that on my future post. 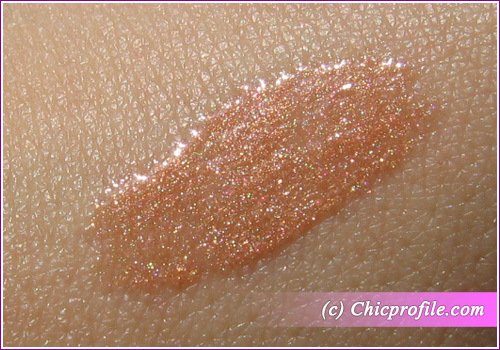 .-= Marina´s last blog post: Havana Nights Collection for Summer 2010 by Sephora by OPI =-.